We’d love your help. Let us know what’s wrong with this preview of The Quick by Lauren Owen. To ask other readers questions about The Quick, please sign up. Do you think this is set-up for a sequel? Diane Klajbor Yes, I read that the author is currently working on a sequel. I'll look forward to reading it. James Norbury is in London writing feverishly trying to master the art of scribbling. He is living with a young, devilishly attractive aristocrat named Christopher Paige. Both will be better people once they begin to have some influence on each other. Norbury needs to be pried away from his writing desk from time to time. Paige needs to spend less time at decadent parties and more time at museums, plays, and operas. They are just beginning to “discover” each other when they meet with a brutal accident in the street. Paige is killed and Norbury disappears. Charlotte Norbury, James’s sister is living on the crumbling family estate where she has been stuck taking care of the final illness of their aunt. She becomes disturbed when she doesn’t hear from James for quite some time and finally decides to go to London to look for him. She finds him. Loses him. Finds him again. Charlotte’s education of the human species is taken from a 101 level to a 500 level very quickly. She meets a limbless soothsayer, an acrobatic assassin, a scientifically minded nightmare named Dr. Knife, a charitable, but stone cold killer named Mrs. Price, and runs afoul of an exclusive London men’s society called The Aegolius Club. They are dangerous men with ideas about forming a more perfect society, one in which they are more than just powerful, but seen as supreme beings. There is always someone wanting to put things out of balance. I skimmed a few other reviews before deciding to sit down and write this review. It seems that everyone received a memo from the publisher to NOT reveal THE TWIST. I’ve never seen so many GR reviewers so carefully sidestepping the issue of THE TWIST. I did not receive a drug laced letter, a gun toting menacing visit from a pair of goons or an email detailing how my car would be wired to explode if I revealed THE TWIST. I can only figure that Random House thought I was too insignificant to bother with or someone dropped the ball and forgot to properly threaten me. *Sigh*. Regardless, because I want to continue breathing and don’t want to be the one that gets all the frigging complaints on my discussion thread I will bow to the conventions already established and not talk about the you-know-what of this novel. The reason I picked this novel up was because it has been hyped as the best Gothic Novel since the golden age of Gothic Novels. Kate Atkinson referred to it as a Suspenseful, Glorious FEAST. Hilary Mantel thinks it was sly and glittering. Tana French found it Ambitious, Elegant, Atmospheric, and Poignant. The definition of a conspiracy is that there are more than one person involved, right? These are all well established, successful writers, but unfortunately they all drank the wrong Kool-Aid. Sorry Hilary, but before you send me a letter of condemnation do know that I loved Wolf Hall. This is a book that as I was reading it I should have been craving dark red wine and cheese or four fingers of bourbon and a blood red steak, but all that was required was milk and cookies. On the back flap of the novel under the rather intriguing picture of the author the first thing they mention about the writer is that Lauren Owen was born in 1985. It is significant that the publisher decided that the most important thing they needed to convey to the potential readers of this novel was that she is under 30. Which lends me to believe that they may have felt that this novel is better suited to the youngsters under 30. The writing is fine in the sense that it was very readable. It is not going to stretch your vocabulary. It has certainly been through the word strainer leaving any words even remotely dusty out of the sentence structures. It reads too much like a drug store spinner rack book or a beach book or a book for a long plane ride where the air is thin and you may not want to agitate the little gray cells too much. It was a grave disappointment. so, somehow i am supposed to review this. and it's unfair, because it isn't being published until june, and as soon as it is, and more people begin to read it and its secrets come out, it won't be necessary to be all coy in the reviews, but for poor little me, reading this all the way back in february, it would be insensitive to be all HEY YOU GUYS, THIS BOOK IS ABOUT SUCH AND SUCH. even though it was spoiled for me before i read it. double unfair. because the reveal comes early in the book. and if so, somehow i am supposed to review this. because the reveal comes early in the book. and if you know it's coming (thanks a lot, greg), you can see what is happening just before it does, but if you don't, it would probably be a fantastic jaw-dropping turn in the narrative. and then there's more than 300 pages that follow, none of which i can really address without giving away what this book is about. triple unfair. basically, i am left with about 70 pages to review, and the rest to kind of mumble over. soooooo… this book is a victorian gothic with elements of both the adventure and detective novel. and also oscar wilde. and something else, mumble mumble. it is a multi-perspective third-person storyline with journal entries and all the other conventions of a victorian novel. and then something else, mumble mumble. it has a really good handle on the historical elements; the mores of the times, with the class and gender and sexual codes. and the mumble mumble aspects are better here than in other mumble books i have read. mumble mumble mumble mumble mumble mumble. but then mumble mumble mumble mumble mumble?? and then mumble mumble mumble mumble mumble!! mumble mumble. so mumble mumble mumble mumble mumble mumble mumble. mumble mumble?? mumble. you'll see what i mean in june. The Quick is a love-it or hate-it book. I fell into the "I loved this" camp. But, when I pushed it onto my mother and sisters, they didn't like it. They all wondered why I had insisted that they read it and waxed poetic about its story. I was truly surprised. At first, it reads like a classic English, historical fiction novel. Think along the lines of Dickens or Austen. And then... it changes very quickly into something else, something more like urban fantasy. I can't say enough how masterful the The Quick is a love-it or hate-it book. I fell into the "I loved this" camp. But, when I pushed it onto my mother and sisters, they didn't like it. They all wondered why I had insisted that they read it and waxed poetic about its story. I was truly surprised. At first, it reads like a classic English, historical fiction novel. Think along the lines of Dickens or Austen. And then... it changes very quickly into something else, something more like urban fantasy. I can't say enough how masterful the first part of this novel is without giving too much away. It hooked me quickly and I was enthralled. I loved how multiple genres collide in the story. I also adored the understated, "British" narrative style. For a novel of over 500 pages, I went through this very quickly. It's a wonderful book to lose hours reading in, what feels like, a few minutes. This would be a great book to carry on the subway or train. You'd be entertained for almost the entire trip. I would have given The Quick five stars but the end bit dragged. Also, I disliked the way that the author developed a couple of the main characters. What can I say- I'm picky when it comes to handing out those five-star reviews. I also think that book clubs will lose their minds over The Quick. As I mentioned before, there was disagreement within my own family if this was an enjoyable read or not. My mother thought that the writing style showed the author's inexperience. I thought it was unique and captivating. We could have gone back and forth about it for hours, but who has time for that with all of the books that are waiting to be read. I'd be interested to know your opinion on it. As for me, I think this was an amazing debut novel. I look forward to more from Lauren Owen in, hopefully, the near-future. For me, The Quick was a book which suffered under the weight of expectation and hype. Every single review I've read of it - on Goodreads, on blogs, and in the press - has highlighted the fact that it has this amazing unexpected twist. And I suppose the fact that I knew it had this amazing unexpected twist led me to speculate on what it might be a lot more than I would have done otherwise, because although I had no clue about the nature of the twist, I guessed it really early, so it didn't surpri For me, The Quick was a book which suffered under the weight of expectation and hype. Every single review I've read of it - on Goodreads, on blogs, and in the press - has highlighted the fact that it has this amazing unexpected twist. And I suppose the fact that I knew it had this amazing unexpected twist led me to speculate on what it might be a lot more than I would have done otherwise, because although I had no clue about the nature of the twist, I guessed it really early, so it didn't surprise me at all. When it happened, my initial assumption was that this couldn't be the twist, it was too obvious, so I continued to think there must be something else that was yet to come. It turned out this was not the case. I'm not going to say what the twist was, in order to avoid spoiling it for anyone else, but if you've heard anything about the story, or read anything that seems like it might be a bit of a spoiler, or started reading the book and think you might have got to it already, then - to avoid further disappointment - you should know THAT twist is THE twist. There isn't anything else. It's difficult to say much else without revealing the infamous twist, but this is basically a sprawling, gothic Victorian-era novel, spanning the whole lives of a brother and sister. James and Charlotte grow up on a country estate in Yorkshire; James goes on to Oxford, and then to London, where he becomes a poet. Then he becomes entangled with the members of a sinister, secretive club, and the ramifications will affect both James and his sister for years to come. I enjoyed the beginning and was really interested to see where the story would go, how the characters would change, from there. I loved the relationship between (view spoiler)[James and Christopher (hide spoiler)]: if we're talking about plot twists, that was my favourite. The development was very well handled, and it was the only thing in the book I felt emotionally invested in. I was gutted for James when (view spoiler)[Christopher was attacked (hide spoiler)], but after that - especially once it became clear that there was no way back - my interest waned. I didn't care much about the plot or any of the new characters that were introduced later in the book. There has been much hush-hush about the true reality of this novel but I think hiding this does it an injustice. The true genre of this story is the supposed ‘twist’ and it’s not much of a twist in all actuality. For those who wish to be kept in the dark, stop reading. Bottom line: The Quick is nothing more than an attempt to combine the enthralling historical fiction aspects of Sarah Waters’ writing and the Gothic mystery of a classic Anne Rice novel. Suffice it to say it was a failed attempt. T There has been much hush-hush about the true reality of this novel but I think hiding this does it an injustice. The true genre of this story is the supposed ‘twist’ and it’s not much of a twist in all actuality. For those who wish to be kept in the dark, stop reading. Bottom line: The Quick is nothing more than an attempt to combine the enthralling historical fiction aspects of Sarah Waters’ writing and the Gothic mystery of a classic Anne Rice novel. Suffice it to say it was a failed attempt. The main issue with The Quick is the pacing. The beginning part of the novel introduces the main character James and his sister Charlotte who separate when James moves to London to complete his schooling. James spends his time writing poetry and plays, falls in love and tragedy soon follows. I enjoyed this part of the novel and even the ‘twist’ but instead of cashing in on this heightened intrigue due to the shocking nature of what occurred, the author instead switches gears and changes to a completely new characters point-of-view. The introduction of the new character, Augustus Mould, also brings a new writing style: epistolary. Normally I adore anything epistolary, however, this was not only dull but tedious and encompassed far too many pages. Once we return to James’ story and point-of-view I had officially lost any and all interest in what had happened to him. What follows is the introduction of several other characters that lacked a much needed differentiation but certainly wasn’t lacking in excessive detail or back story. Much of what we’re given in this novel regarding the back stories of individuals and the tedious details of their lives felt like a ridiculous amount of inconsequential filler by the time I had turned the final page. The reviews of this book looked promising plus I live in Yorkshire where some if it is set. And I LOVED Jonathan Strange & Mr Norrell and was hoping for another corker along those lines. Nearly 100 pages in and I've had far too much of such childish naïve writing, riddled with clichés and stereotypes. As for the 'twist'? Subtle as a flying mallet. Where I got the book: ARC from the LibraryThing Early Reviewer program. Alas, I am underwhelmed. I guess my expectations were raised to boiling point by the prodigious hype splashed around the ARC's cover pages. "The Quick will establish her as one of fiction's most dazzling talents...consummate storytelling and suspense...I am in love with Lauren Owen's first novel..." and so on. Imeantersay, all this from Random House? I'm expecting Dickens, David Foster Wallace and Edgar Allan Poe all rolled i Where I got the book: ARC from the LibraryThing Early Reviewer program. Alas, I am underwhelmed. I guess my expectations were raised to boiling point by the prodigious hype splashed around the ARC's cover pages. "The Quick will establish her as one of fiction's most dazzling talents...consummate storytelling and suspense...I am in love with Lauren Owen's first novel..." and so on. Imeantersay, all this from Random House? I'm expecting Dickens, David Foster Wallace and Edgar Allan Poe all rolled into one here. And it has been widely splashed around review sites that SOMETHING REALLY BIG happens but we mustn't give it away, shhhhh shhhh shhhhhh that would be spoilerish. So I won't. And yeah, a certain number of pages in, the story veers sharply to the left with only two wheels on the pavement and becomes not at all what the first certain number of pages would lead you to believe. But after I got over the WTF moment, which took about two minutes, I was disappointed because seriously, we're going THERE? AGAIN? I kind of wanted the original story back. And then there were about 400 pages of slightly disjointed, rather trite goings-on in the well-hashed-over realm of NOPE NOPE NOPE CAN'T TELL YOU well let's just call it gothic. Nice clear writing, good at times but descending into caricature when we get to the lowlifes of London, nothing that made me soar joyfully or gnash my teeth in despair. A couple of images that may haunt me, I grant you, and the story could make good TV or movie fodder because Owen is hitting a vein of imagery that's doing rather well at the moment. Near the end the story regains the pathos and bittersweet anguish of its beginning, but even there I feel that Owen misses a huge opportunity to cash in on a particularly painful moment in the brother-sister relationship. My overall rating is around 3.2 stars - it deserves a solid 4 for the writing, but loses points for its rather loose and saggy middle. A good debut but disappointing in relation to what I expected from it. This review has been hidden because it contains spoilers. To view it, click here. This book was not what I was expecting or hoping for after reading the promotional blurb. I was more than a little surprised when it turned into a vampire book. If I had known it was a vampire book I never would have selected it. As this was one of the first books I was approved for by NetGalley I tried very hard to get through it. But found it wasn't only the genre that I didn't care for. The pacing of the beginning of the book was slow and I never felt connected to the main protagonist. I foun This book was not what I was expecting or hoping for after reading the promotional blurb. I was more than a little surprised when it turned into a vampire book. If I had known it was a vampire book I never would have selected it. As this was one of the first books I was approved for by NetGalley I tried very hard to get through it. But found it wasn't only the genre that I didn't care for. The pacing of the beginning of the book was slow and I never felt connected to the main protagonist. I found myself picking up and finishing several other books in the time that I was trying to read this one. Unfortunately, it just didn't hold my attention. I would encourage the publisher to include a reference to vampires somewhere in the promotional materials otherwise I think readers who are expecting a Victorian novel very well may be disappointed. This book deserved better treatment from me. I've been so scattered with my reading for the past few weeks that it took me 22 (!!!) days to read it, and no book is as engaging when it's being read in a million little chunks. But despite that, I really, really liked it. It's moody and dark, and really doesn't paint Victorian London in the prettiest light - we only see the very grittiest side of it. The writing feels genuinely Victorian without being dense, and the characters are nuanced and compl This book deserved better treatment from me. I've been so scattered with my reading for the past few weeks that it took me 22 (!!!) days to read it, and no book is as engaging when it's being read in a million little chunks. But despite that, I really, really liked it. It's moody and dark, and really doesn't paint Victorian London in the prettiest light - we only see the very grittiest side of it. The writing feels genuinely Victorian without being dense, and the characters are nuanced and complicated, but for the most part very likeable. There are a few changes in tone throughout - when I read the first few chapters, I was prepared for a secluded, gothic family story, maybe similar to The Thirteenth Tale, but then we do a rapid swing into college and a sweet love story, and then again, it transforms into something else entirely. I'm not really sure if I'm supposed to keep the last part a secret or not, but I'll err on the side of caution, as the (majority) of other reviewers seem to be. When Random House gave me permission several months ago to read Lauren Owen's debut novel, I was very excited. I understood early on that there was a twist and because of the cover and trends in the publishing industry and some early reviews by fellow early readers, I quickly started to suspect what it might be and so I stopped reading any early opinions about the novel. Because I very much thought I'd like it, and I very much wanted to like it. Because even if it I am sad. Because I very much thought I'd like it, and I very much wanted to like it. Because even if it hadn't had a fantastic synopsis from the publisher, pushing all my literary fun-buttons, it was also touted by TANA FRENCH! Hilary Mantel! Kate Atkinson!Two of those women are within my top five favourite authors, the third is very high as well. And so I am saddened. The twist is that vampires exist in this world. You didn't figure that out already, by the cover? You didn't figure that out because, well, so many books these days have vampires? But here's the thing: I didn't dislike this book because of the vampires. Sure, it probably doesn't hurt that I really liked The Historian and in my youth I was nurtured on Anne Rice (the quality of the former is greater to me than this novel was, and because of said youth and decades of separation, I won't counter a current opinion on the latter). I don't turn a book down because of vampires. But when the introduction of the vampires inexplicably caused the writing to degrade to cookie-cutter vampire characters and clichés, I cooled significantly towards the book. I read this in galley form and really enjoyed it. I would highly recommend putting it in your to-read shelf. As other reviewers have mentioned, it's very hard to talk about without giving away major spoilers, so I will refrain because I don't want to be the one who spoils the secrets. I mean, what if I revealed Jack Reacher dies in the next Lee Child and ruined it for everybody? Not that he does or anything, but how would you feel? And also, a death revelation has nothing to do with this book. Wai I read this in galley form and really enjoyed it. I would highly recommend putting it in your to-read shelf. I love historical fiction so was immediately drawn to this tale of a brother and sister growing up orphaned in Victorian Yorkshire, with the young man eventually going on to Oxford then to London to attempt to make his way as a writer. From there his life and the plot begin to take twists and turns that I hadn't expected, not having read too many excessive reviews or blurbs. And for that, I'm happy. Surprises in reading are good when they are well done and Owen does them well. I am not going to d I love historical fiction so was immediately drawn to this tale of a brother and sister growing up orphaned in Victorian Yorkshire, with the young man eventually going on to Oxford then to London to attempt to make his way as a writer. From there his life and the plot begin to take twists and turns that I hadn't expected, not having read too many excessive reviews or blurbs. And for that, I'm happy. Surprises in reading are good when they are well done and Owen does them well. I am not going to delve into plot points here...Goodreads provides a plot summary and I am not going to give away any elements of possible surprise that some reviewers do. Suffice it to say that the plot developments are earned. While occasionally the story seemed a tad long, that seems in keeping with the Victorian tomes it might be emulating. There are mystery, suspense, gothic turmoil, imperiled people of all ages, quests for "truth", and the dusty, dirty streets of Victorian London. I will plan to read Owen's next book. This is a cranky review of a book with a good deal of hype. The writing is nice enough, and there's lots of plot, and some historical ambiance; but I have a giant huge quibble with the marketing and mystique surrounding it which, for me, didn't enhance my reading experience. I'm hesitant to even try to recap the book lest I give away something I shouldn't. In brief, it's set in the 1890s in London, and features siblings who have to find each other as adults after some dramatic stuff happens. T This is a cranky review of a book with a good deal of hype. The writing is nice enough, and there's lots of plot, and some historical ambiance; but I have a giant huge quibble with the marketing and mystique surrounding it which, for me, didn't enhance my reading experience. I'm hesitant to even try to recap the book lest I give away something I shouldn't. In brief, it's set in the 1890s in London, and features siblings who have to find each other as adults after some dramatic stuff happens. There's lots of hype about a 'twist' in this book which I'll say is not a twist so much as a bait-and-switch. Owen sets up her book deliciously -- a decaying country estate, two imaginative siblings, the push-pull of Victorian expectations for men and women -- and then, bam!, around 80 pages in, the wonderful sort of gothic-y family novel becomes something else entirely, and not, in my opinion, for the better. In order to articulate why I'm so meh on this book, I have to just name what my problem with it was (below the spoiler tag). I'll add that I don't think knowing the 'twist' will hurt your enjoyment of the novel -- if it's your thing, you're going to be super happy, and if it isn't your thing, you might be glad for the warning! After the 'twist', my other complaint is about pacing. Owen uses a mix of third person narrative interspersed with diary excerpts, and I found it slowed down the already creeping plot even more. Worse, the diary entries came before the characters were introduced, repeatedly, which made things even more frustrating. I think I get what Owen was trying to do -- these snippets avoided lots of exposition -- but they didn't keep things chugging along or amp up the tension. The novel's conclusion was uneven and meandering, and felt like Owen sandwiched together short pieces from other works. Still, the writing was lovely, and there was great promise there; her articulation of a pragmatic marriage that might have, perhaps, blossomed into something loving, touched me, and I wished the novel had more of that, just as I wish the moodiness of the novel's start had lingered. The Aegolius Club is a mysterious club, run by a group of elite and powerful men with many secrets. Londoners can only speculate on what goes on behind the walls of the club, but we (as a reader) are given the privilege to read the journal/diaries of a member; a mad science known as Dr. Knife. In these diaries you uncover the truth of what these member seek and represent, and it’s more sinister then we could ever imagine. While snippets of these diary notes were scattered throughout the novel, we also follow the life of protagonist James Norbury. It’s the mid 1800; James and his sister, Charlotte, grew up in a rundown country mansion. Their father was absent from their life for most of the time, so the two only had each over for company and are close. When their father passed away, Charlotte stayed on to care for their sick Aunt, while James travelled to London to study and pursue a career as a writer. James settled in London, shared lodging with an old acquaintance from college and found love. Charlotte and James would write to each other frequently over the years but suddenly James letters stopped. Charlotte decides to travel to London in search of her brother, only to discover she’s under threat and an underground war brewing around her. I desperately want to say so much more about The Aeogolius Club but they’ve put me in a difficult position where all their secrets were revealed early on in the piece. When The Aeogolius club first introduced themselves to me, it was as though they’ve confessed something extremely confidential and that I should be honored to be the one chosen; told with an air of threat and arrogance to their manner. And you do get a sense you are being drawn into their malicious world without your control, or say in the matter. I love the gothic, visual aspects of the setting, with its grand old building of the club, the hustle and bustle of city life, and the derelict outskirts of London. Lauren Owen incorporated her love of books into her backdrop and plot; making her main protagonist a writer, and meeting places for her characters to re-group in massive libraries, or small-disheveled bookshops. The plot had a thrilling cat and mouse chase, and at one time, it exploded into a war like battle of bloody strength. There was violence, intensity and lust, of the evil kind and with a touch of the surreal. While I was so absorbed all these aspects, I wasn’t switch on to the characters feeling and emotions, when I know I should’ve felt some sympathy for them at their worst moments. I didn’t feel that their emotions were projected well on page. Plus in second half of the book a flood of new characters were introduced and I felt it was hard to grow some sort of bond with all these people at the same time. And the main protagonist, James, whom I had grown a connection with, and was fond of during first part of the book; pretty much became a side character. There were some unresolved issues at the end, which makes me believe that this might be the first book in a series. If so, I will have to think about continuing on, as I do like to have an emotional attachment to the characters. Either way it was an enjoyable debut novel. This is not the book you think it is. This is not the book I thought it was. But, damn, it certainly was a lot of fun, and fun novels can be hard to come by. James goes to live in London to begin his career as a writer in Victorian England when, quite suddenly, he goes missing. Really, that's about all I can tell you without spoiling the complete reversal that author Lauren Owen pulls 100 pages into the novel that results in a violent upheaval of all that has come before. With that said, Owen ha This is not the book you think it is. This is not the book I thought it was. But, damn, it certainly was a lot of fun, and fun novels can be hard to come by. James goes to live in London to begin his career as a writer in Victorian England when, quite suddenly, he goes missing. Really, that's about all I can tell you without spoiling the complete reversal that author Lauren Owen pulls 100 pages into the novel that results in a violent upheaval of all that has come before. With that said, Owen has not done this without careful consideration of her audience and the subject matter with which she is truly interested. The people who are attracted to "The Quick", with its cover evoking refined literary thought, and a jacket featuring accolades of such modern literary giants as Kate Atkinson and Hillary Mantel, are not the people who would normally read a book with the subject matter of "The Quick." Much like the novel itself, the book's jacket is a prim and proper outer coating of a much more sinister beast. It is artful how well Owen reels the reader in before introducing her true plot: by the time you discover what the book is actually about, you are so invested in the characters and their lives that you are willing to press on. I'll admit to being thrown off by what becomes a jarring change in pace at the introduction of the "twist." This is not my normal reading scene, and I didn't know if I'd enjoy what followed. Luckily, Owen handles the subject with extreme tact and refinement. 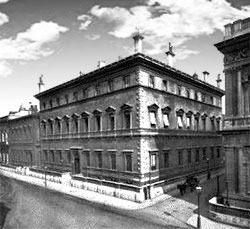 She dips low into the destitute areas of London before slipping in between shadows to the distinguished and enigmatic "Aegeolis Club." Throughout, her writing and dialogue is floral and evocative, with each character having the opportunity to share their voice with the audience. Well...what can I say? (I thought about just ending the review there and letting everyone sort figure i mean it). This book is another very slowly building story leaning on some (slightly) usual characters. Almost anything I tell you about the book/story/plot will constitute a spoiler as the entire book is geared to the slow build up and contributes to the building of said plot. Our two main protagonists are introduced as children and the formative events of their lives begin there. We are also i Well...what can I say? (I thought about just ending the review there and letting everyone sort figure i mean it). This book is another very slowly building story leaning on some (slightly) usual characters. Almost anything I tell you about the book/story/plot will constitute a spoiler as the entire book is geared to the slow build up and contributes to the building of said plot. Our two main protagonists are introduced as children and the formative events of their lives begin there. We are also introduced to the unusual and very secretive Aegolius Club. There are many interesting characters in the book and the idea behind the book would seem to have made an excellent novel. So, why is it that I had to drag myself back to it every time I laid it aside and that I couldn't wait to get through it. Mostly when I was supposed to be involved in the atmosphere of the book and on the edge of my seat I was actually (at least quite often) stifling yawns. The book is a good idea, the writing is slow and the end is rather expected. It is in many ways (as the synopsis indicates) somewhat like The Historian . An auspicious debut for writer Lauren Owen. Given my love of horror, at first I thought I may have been misled into reading The Quick. From the book's description, "1892: James Norbury, a shy would-be poet newly down from Oxford finds lodging with a charming young aristocrat. Through this new friendship he is introduced to the drawing-rooms of high society and finds love in an unexpected quarter. Then, suddenly, he vanishes without a trace. Alarmed, his sister, Charlotte, sets out from their crumbling country estate determined to find him. In the sinister, labyrinthine London that greets her, she uncovers a hidden, supernatural city populated by unforgettable characters: a female rope walker turned vigilante, a street urchin with a deadly secret, and the chilling, ' Doctor Knife.' But, the answer to her brother's disappearance ultimately lies within the doors of the exclusive, secretive Aegolius Club, whose predatory members include the most ambitious, and the most bloodthirsty, men in England." So, I'm more than a hundred pages in and I'm wondering where is all the good stuff I was promised? At this point it was well written, but more like Jane Eyre or Sense and Sensibilty, great stuff, but not what I signed up for. Once the story took a twist to the dark side it manged to hold on to the tone of the book's beginning, but added the elements I had been promised. It's difficult to believe The Quick is Lauren Owen's first novel. She is a talent to be watched and read. Available in Hardcover, Paperback, ebook and audio book formats from Random House LLC and available for pre-order from Amazon.com. This was a promising debut novel, set in Victorian England. It begins with two children, Charlotte and James, who grow up in a rambling house in the country. Although this part of the book is quite slow, it does set the scene and establish the relationship between the siblings and show how much James means to his sister. After their father dies, Charlotte is left in the care of her aunt, while James goes off to school. While he is at Oxford he meets a young man in the library, although he doesn’ This was a promising debut novel, set in Victorian England. It begins with two children, Charlotte and James, who grow up in a rambling house in the country. Although this part of the book is quite slow, it does set the scene and establish the relationship between the siblings and show how much James means to his sister. After their father dies, Charlotte is left in the care of her aunt, while James goes off to school. While he is at Oxford he meets a young man in the library, although he doesn’t find out his identity. James is keen to become a poet and moves to London to attempt to try his hand at writing. While there, he again meets up with the young aristocrat that he first met at Oxford and ends up sharing rooms with him. The storyline then switches to James and his new friend, Christopher Paige. Christopher has a distant relationship with his family and there is a disastrous dinner party, at which we begin to realise that all is not well. This then becomes somewhat standard fare, with a tale of vampires holed up in the mysterious Aegolius club. I have to admit that I felt somewhat cheated when I began to fall in with what was happening. James becomes embroiled with the Aegolius club, while Charlotte comes to London to try to rescue him, along with a cast of characters who have their own agenda to try to help her in her quest. What begins as an atmospheric and interesting novel somehow turns into something which is really quite mundane and the fact that we lose contact with Charlotte in the middle of the novel makes it harder to care for her – or her relationship with her brother – when we meet up with her again in the novel. Overall, this is well written and atmospheric , but the storyline and point of view jumped around too much for my personal liking. It begins with such promise, but became a fairly standard novel – about vampires, again.... If, however, you are interested in vampire novels, there is much that will be of interest, including the notebooks of Augustus Mould, who is allowed to enter the club in order to carry out research on the un-dead and discover their powers and limitations. Lastly, I received a copy of this book from the publisher, via NetGalley, for review. This book is based on the story of the Aegolius Club that was a British clubmen known by its secretive nature. The plot tells the story of James Norbury. After their parents' death in Yorkshire, James and his sister Charlotte moved into a small cottage with their aunt, Mrs. Chickering. Once James is sent away to school in Oxford, he starts to dream to become a poet. There he will meet Christopher Paige who will play a dramatic role in James' life. When both friends moved to London, James and Christopher shared a room and James managed to write a play. Christopher then had the idea to submit the manuscript to Oscar Wilde. At this point, the plot will take another turn and Charlotte will try to find her missing brother in the middle of intrigue and mystery, which follows in every Victorian London story. Another important character that should be mentioned is the macabre Dr. Knife. Even if this book is too long, sometimes we wonder how the plot takes a too long course to be developed. The story is fast-paced and we learn some intriguing facts concerning the Aegolious club. Among its members, we may find Charles Atwood, Edmund Bier and Eustace Paige. Older members are sometimes referred to as "owl men". Since 1830, the club's address has been Ormond Yard, off St. James Square. The title refers also as the known as "the revenant" - a visible ghost or animated corpse that was believed to return from the grave to terrorize the living. A very promising book, as the debut novel by Laura Owen. I read this book avidly, even though I detest some of the titles being offered as comparable, like The Last Werewolf and The Passage, and never made it through Dr. Strange and Mr. Norrell. It takes a certain amount of chutzpah to write a vampire novel at this point, especially a literary one, and I was amused to think that, after we've all enjoyed vampire stories set in the Pacific Northwest, Eastern Europe, and Louisiana, setting your vampire adventure in Victorian London now seems fresh again. I read this book avidly, even though I detest some of the titles being offered as comparable, like The Last Werewolf and The Passage, and never made it through Dr. Strange and Mr. Norrell. It takes a certain amount of chutzpah to write a vampire novel at this point, especially a literary one, and I was amused to think that, after we've all enjoyed vampire stories set in the Pacific Northwest, Eastern Europe, and Louisiana, setting your vampire adventure in Victorian London now seems fresh again. There could easily be another paragraph or two here about comparisons and antecedents. The early scenes of the brother and sister in their eerie Northern home were very gothic-novel. The vampire-studying duo of Swift and Shadwell (who operate an occult bookstore on the side) reminded me alternately of Buffy and Giles and of Lovelace and Babbage. The circus folk are a persistent literary-fiction trope and the sexual tension early in the book could be out of any of your higher-concept fanfiction. Forget the anxiety of influence; only the quality of the writing here saves the reader and the author from the anxiety of keeping the details straight. Despite my reservations, most people I know like non-romance historical fiction, interesting adventures, and/or at least one other vampire book, so most of you would enjoy this on some level. I'll need to see more from this author before I can decide whether I'm a fan. Il modo in cui l’autrice descrive Londra è sensazionale. Crea quel velo di mistero ed aspettativa veramente speciali, trascina il lettore, in una città quasi sinistra, misteriosa, piena di segreti. Durante la lettura era come se mi trovassi lì, accanto a James, in mezzo a strade e vicoli, dentro dei club esclusivi e sinistri. Eppure questo libro è pesante e lento. In alcuni punti veramente troppo descrittivo, si arriva a metà e ancora la storia non è decollata. Se James è un personaggio a tutto t Il modo in cui l’autrice descrive Londra è sensazionale. Crea quel velo di mistero ed aspettativa veramente speciali, trascina il lettore, in una città quasi sinistra, misteriosa, piena di segreti. Durante la lettura era come se mi trovassi lì, accanto a James, in mezzo a strade e vicoli, dentro dei club esclusivi e sinistri. Se James è un personaggio a tutto tondo, sua sorella Charlotte avrebbe dovuto essere eliminata dalla prima pagina, è si mossa da buone intenzioni, ma ogni sua decisione si ripercuote poi, direttamente o indirettamente, sul fratello e non sempre in maniera positiva. Quello che mi ha convinto di meno è però, soprattutto il fatto che per entrare nel vivo della storia e iniziare a capirci qualcosa bisogna arrivare a più di metà libro. Va bene essere precisi e mantenere una certa suspense, ma qui si sono sprecate troppe pagine in una narrazione che poteva essere benissimo snellita. Il finale sensazionale e apertissimo, ha salvato questo libro dalla bocciatura perché mi ha lasciato completamente spiazzata! Arrivata alla fine volevo sapere molto di più! For a debut novel, this has a lot of wonderful strengths, but its flaws gnawed deep into their bones. I wish the editor had stepped up the guidance a bit, because with another draft of two, this could have been stunning. This is a vampire story, told in London, late 1800s. It has some clever twists, fun characters, and unusual developments. Sooooooo much potential! The author is quite gifted at voice; several of the characters (this is told from multiple viewpoints) are fully-developed, distinct, and convincing. Sadly, the one who is not is Charlotte, one of the primary characters. For me she was flat character and she could/should have been so much more. Her brother, James, who is turned into a vampire against his will, is a much more interesting character, but there are massive sections of the book where he is missing. The other characters who were nuanced and fully-developed only appear briefly, and the book suffers because of it. Also, there is a huge logic hole in the climactic scene - I didn't believe that the fire could have been set without the Club vampires sensing the presence of the others, much less not smelling the smoke from the time it began. These are creatures with such heightened senses that they can read minds and hear heartbeats. Thank you to the author, publisher and Netgalley for the ARC. Much appreciated. Now that I've read this I've now read some reviews too. I came to this one initially not knowing about the 'twist' or had any preconceived ideas other than that it's meant to be really good. Unfortunately, before reading, I inadvertently clicked onto a review and a big spoiler was given away with literally one word. I was not happy. I still don't know why readers feel the need to talk about spoilers, give key plot poi Thank you to the author, publisher and Netgalley for the ARC. Much appreciated. Now that I've read this I've now read some reviews too. I came to this one initially not knowing about the 'twist' or had any preconceived ideas other than that it's meant to be really good. Unfortunately, before reading, I inadvertently clicked onto a review and a big spoiler was given away with literally one word. I was not happy. I still don't know why readers feel the need to talk about spoilers, give key plot points away, it staggers belief and frankly is quite selfish in my opinion. I don't know if I would have guessed the twist of the plot or not but as I knew what was coming, the subtle clues were there. I would liked to have had that opportunity though. The book starts out really well. Though much of the book is set in Victorian London it begins by entering the world of brother and sister James and Charlotte up in a village in Yorkshire. Here I found myself really hooked and loved the setting, feel and language of it all. Then the point of view is changed and this is where the book really changes too. The big twist is revealed fairly early on and I was expecting more, but none came. Narratives do change throughout and that didn't really bother me but the plodding of the pace did. Don't get me wrong, it is beautifully written for the most part, in a gothic almost Dickensian style I really enjoyed. It was easy to feel submerged and lost in the streets of London getting the full Victorian experience. And a few times I had to click on a word to look up its meaning. Can I just say here I for one haven't swallowed whole a huge tome of a dictionary nor am I a walking thesaurus. I hate literary snobbery with a passion (which I have come across in some reviews) and have no shame in admitting I haven't devoured every word in the English language!! I don't expect books to be an expansion of my vocabulary, (bonus if it happens) more an appreciation of good words put beautifully together. Anyway I digress, back to the book. Now here's the odd thing, though the book is not perfect, too plodding in places, lots of peripheral characters that I'm not convinced brought much to the story, tedious moments dotted here and there, I never really sped read! Nope, I devoured every word, read at every conceivable opportunity and wrapped the whole thing up after 4 in the morning!! I would liked to have seen more expansion of some characters and if I'm honest I'm not really sure where the story was heading at times. It was like once the twist was revealed where is this supposed to go. That said, I found the whole thing strangely compelling and I know it's a book I won't forget in a long time. It's a bold debut with much to like about it. It isn't perfect by any means but it captured me in ways I truly didn't expect it to and no one is more surprised than I am. If you do go on to read this book, my advice is not to read many reviews, but enter this Victorian gothic world for yourself. Let it be a journey that's yours and yours alone. 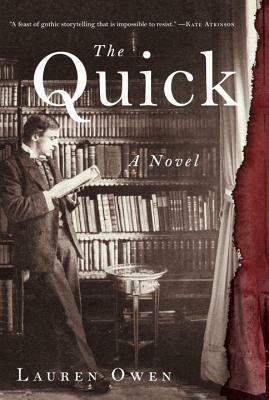 The cover of THE QUICK is ridiculously boring: sepia-toned man leaning on the edge, most of the cover taken up by a table. But I was quite intrigued by the blurb, which promised both magic and terror. I'm glad I paid little attention to the cover, because I thoroughly enjoyed THE QUICK. The action begins when siblings James and Charlotte Norbury are children, just long enough to establish their relationship. James is sensitive; Charlotte is practically his mother. The time then jumps to James dec The cover of THE QUICK is ridiculously boring: sepia-toned man leaning on the edge, most of the cover taken up by a table. But I was quite intrigued by the blurb, which promised both magic and terror. I'm glad I paid little attention to the cover, because I thoroughly enjoyed THE QUICK. The action begins when siblings James and Charlotte Norbury are children, just long enough to establish their relationship. James is sensitive; Charlotte is practically his mother. The time then jumps to James deciding to leave Oxford and go to London to be a writer. That's where he meets and lets rooms with Christopher Paige, the black sheep of an aristocratic family. The opening quarter of the book is all about getting to know James and Christopher, as well as the social strictures that govern their lives in Victorian England. Then something very bad happens to them. Unfortunately, the book doesn't quite kick into gear at that point. THE QUICK delves into several of the characters' points of view, and unfortunately the next one is a lengthy section of exposition that I don't think added that much to the story. THE QUICK does blend genre and literary fiction, so I can see these passages being of use to literary fans, perhaps. I've seen it called a Gothic horror story, but I think that's inaccurate. Once the fantastical enters the story, the book instantly tells the reader what happened. But it is nice to go in with the exact details of the genre shift from historical fiction to historical fantasy being a surprise. I liked the plurality of characters. They represent many different factions, and even the ones on the same side come at things in a different manner. I thoroughly enjoyed that almost all of them were driven by love. It's a strong motivation, and one that can lead to a desire for revenge just as much as compassion. It also enforces the need for that mundane first quarter, to show why James and Charlotte would never just go into hiding. LAUREN OWEN studied English Literature at St. Hilda's College, Oxford, before completing an MA in Creative Writing at the University of East Anglia, where she received the 2009 Curtis Brown prize for the best fiction dissertation. 'The Quick' is her first novel. She lives in Durham, England.